Materials - part1. 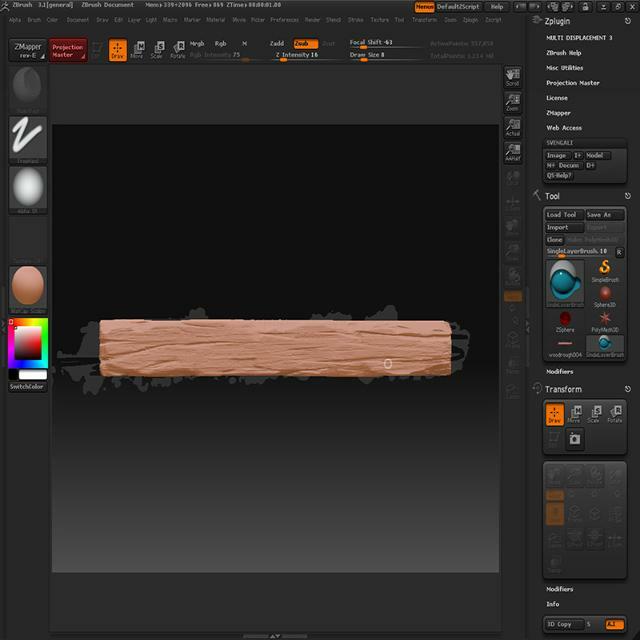 Creating wood texture - tutorial by Philip Klevestav. 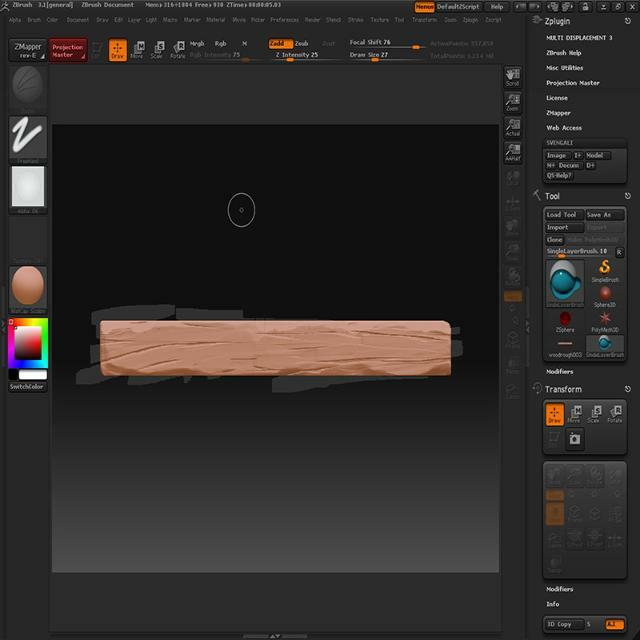 Here I will go through some steps on how you can create a rough wood texture using Zbrush, 3DS Max and Photoshop. 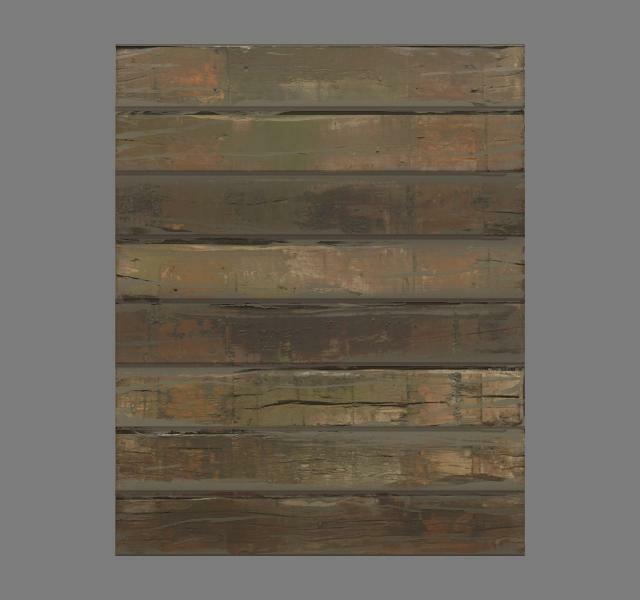 This can be interesting if you want to make a totally handpainted texture as well. 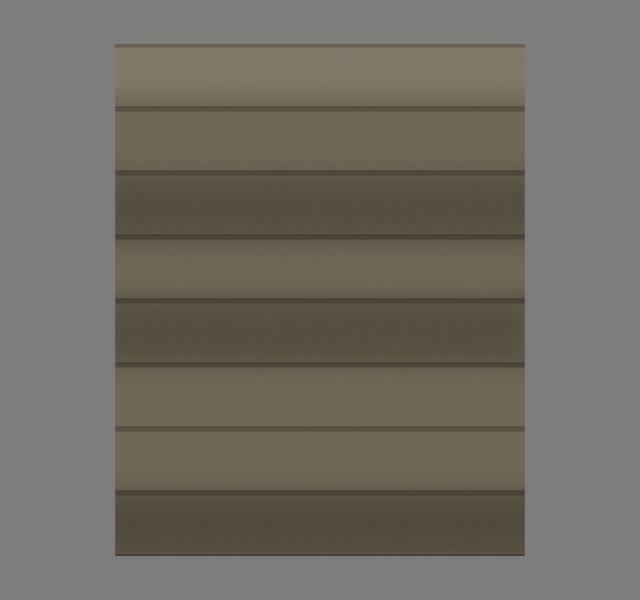 There are just a couple of layers I made differently to make it a more stylized handpainted texture, all that is included in the .PSD at the bottom of this page. Philip Klevestav have been working in the games industry for over 5 years, mainly as an environment artist. Before that was active in various mod-communities for the Half-Life games. Feel free to contact him if you like this tutorial or have some suggestions or ideas for new tutorials. Personal portfolio. 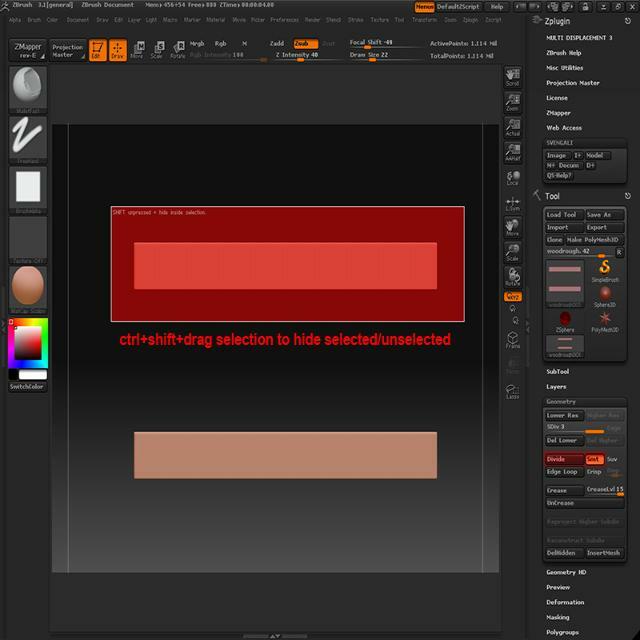 There is a great feature in Zbrush that lets you hide selections you make. You can hide whole objects or even just parts you select. Press "shift+ctrl" and drag a selection over whichever part you want to hide, if you release shift you will hide everything BUT your selection. To unhide everything again just hold down "ctrl" and click outside the canvas. If you have read any of my other Zbrush material tutorials you will be pretty familiar with the "Mallet Fast Brush" probably. I use this brush for almost everything since it is a really quick way to deforme some edges. 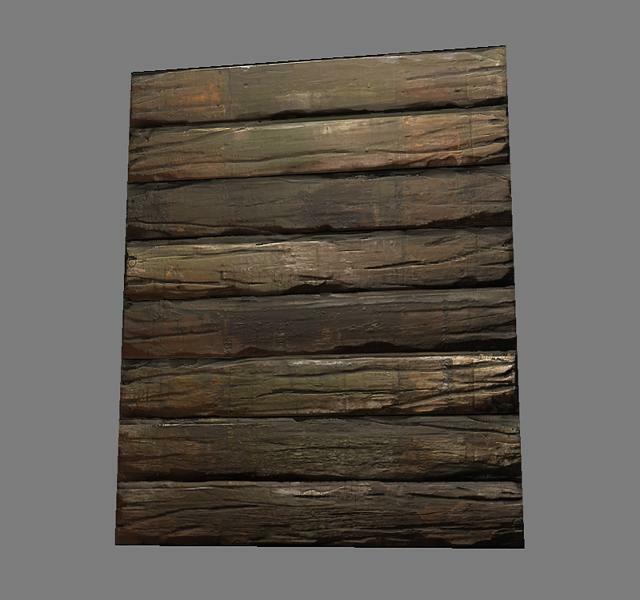 Next up is to get some actual wood grain cracks in here. I find the easiest way of doing this is to use the "Projection Master". 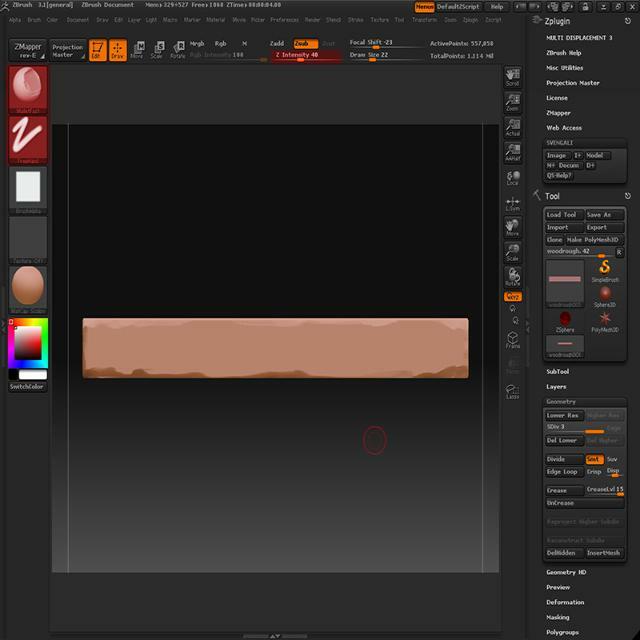 I then use a "Free Hand Brush" and while using a low focal shift I mix using ZAdd and ZSub settings on my brush strokes. 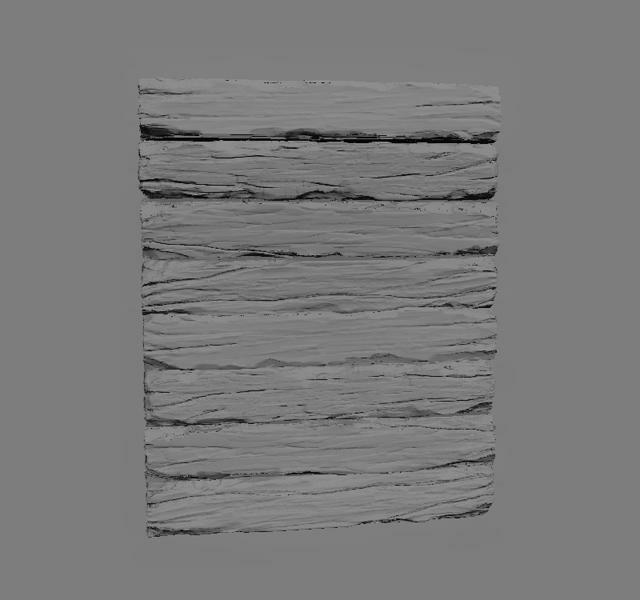 Once you feel happy with the previous step we will need some finer wood grain as well (this is of course if you are going for that style, some more soft handmade wood style would probably benefit from just moving on from the previous step and import that right into 3DS Max). I use the same technique here as above, just using smaller brushes with a lower intensity. Remember you can exit the Projection Master any time and add as many layers as you want with it (but be a bit careful, sometimes it can "damage" your previous details if you go on too strong in the Projection Master). 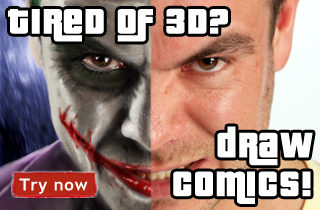 After the above steps I import the exported file from Zbrush into 3DS Max (you may want to optimize it before importing it to 3DS Max tho, a great tool I usually use for this is Meshlab, you can download it here: meshlab.sourceforge.net). 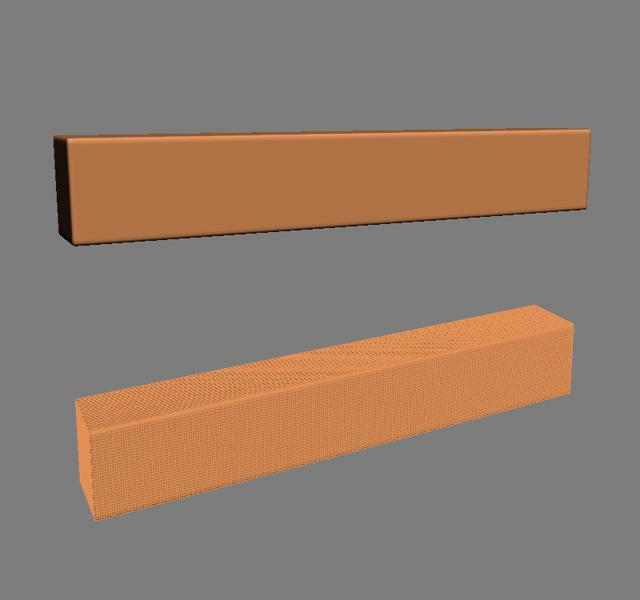 Then, I make duplicates of my two planks using "Instance" and rotate them so no two planks are the same. After that I rotate and offset each plank a bit to help add some more depth. 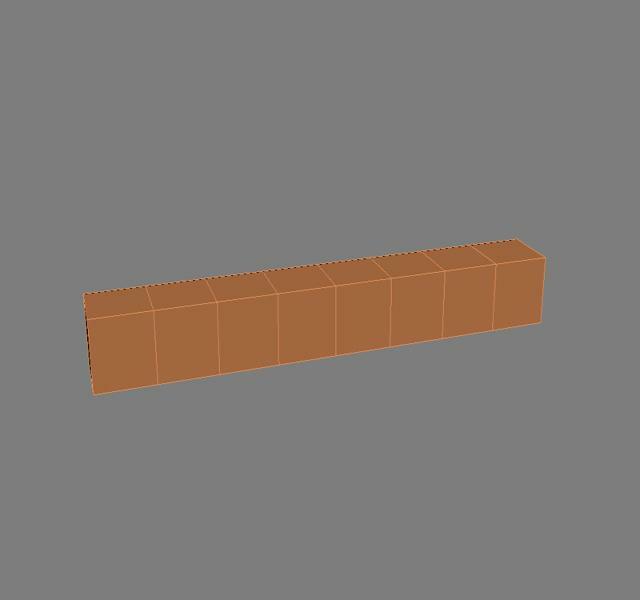 I start off with a very simple base where I just draw out the edges of the planks and vary up each plank a bit. 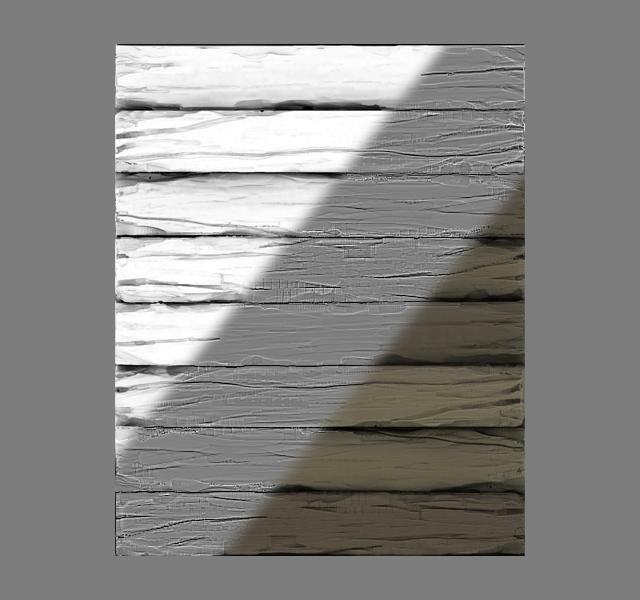 I also used xNormal's "Normals2Cavity" function on a copy of my baked out normal map, you can see howto use that in my Matte Metal Tutorial. 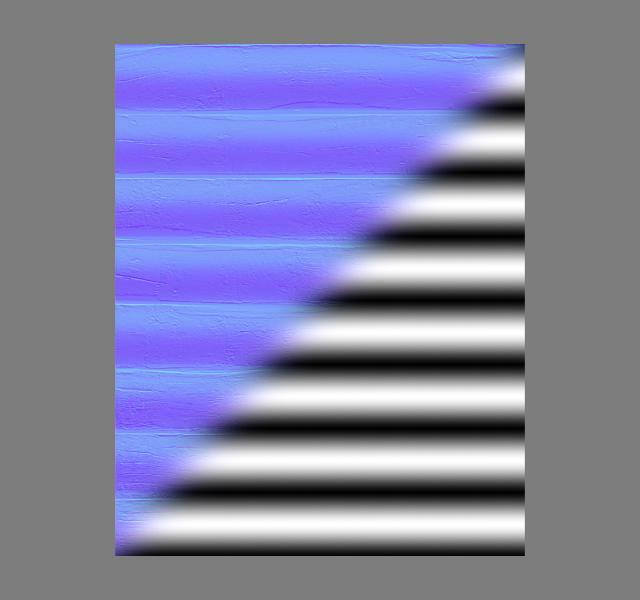 OR you can use the "Cavity from normal" action in my Photoshop actions pack (big thanks to Teddy Bergsman for creating that particular action), it will give you a very similar result. Just run the action on a copy of your baked out normal map. You can download the actions pack right here. 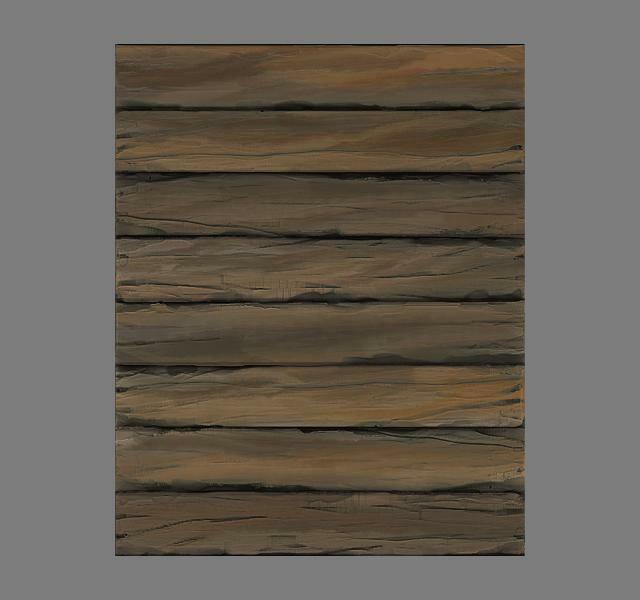 The last thing I add to get some more interesting depth when the material is lit is to add a subtle roundness to the planks. 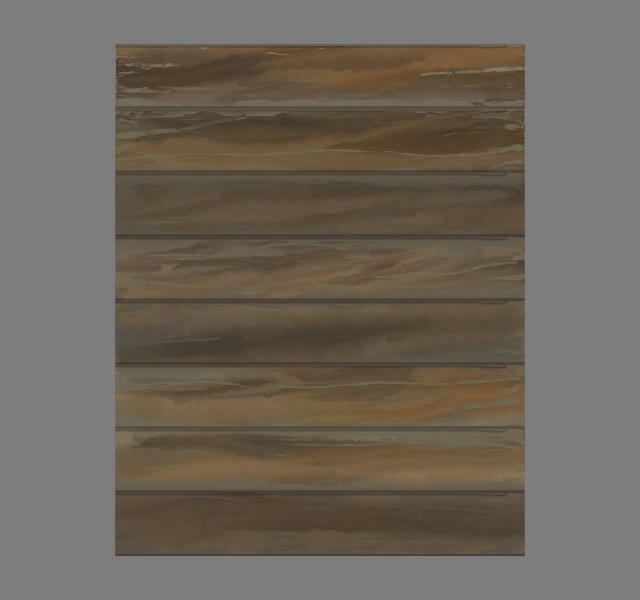 You can vary this a lot, but I find having an outgoing bevel like this work for most type of planks, you just make it more or less subtle. 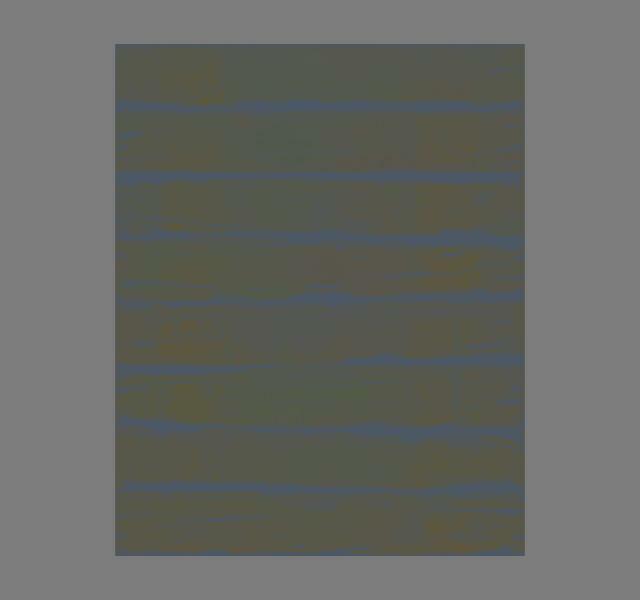 I generated this using the nVidia filter again on a base that looks like the black and white part in the image below, where I just made a small selection of a black and white gradient and copied it up 8 times and use a pretty high filter type in the nVidia filter (something like 7x7 or 9x9). cant open this file in photoshop, seams broken. This is a great tutorial but for some reason, I am not able to open the psd you’ve provided. What am I doing wrong? I just checked the link and it works fine. Please make sure you are logged in and try again. 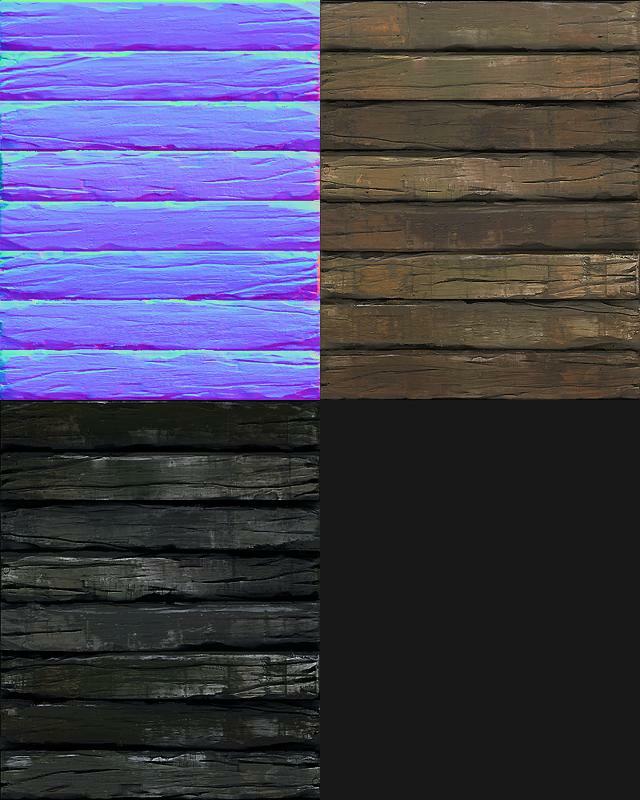 The link to download this texture is dead.